Seeing the Olympics as unique opportunities to observe certain phenomena in a time-limited setting. They are a sort of natural experiment where one could study effects of phenomena before, during, and after the events. Or, one of the articles mentioned looked at athlete-coach relationships and the Olympics would provide the option of examining this in a number of sports at once. 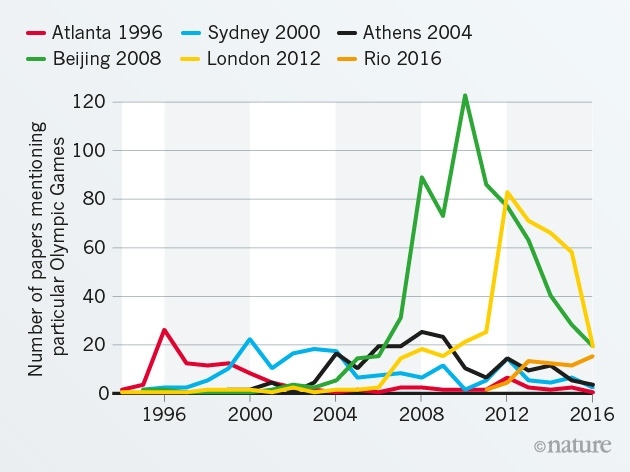 The increased globalization of the Olympics, both in geographic location (new cities such as Beijing and Rio) and global media coverage. Additionally, the Olympics can be viewed as an effort to bring the world together. 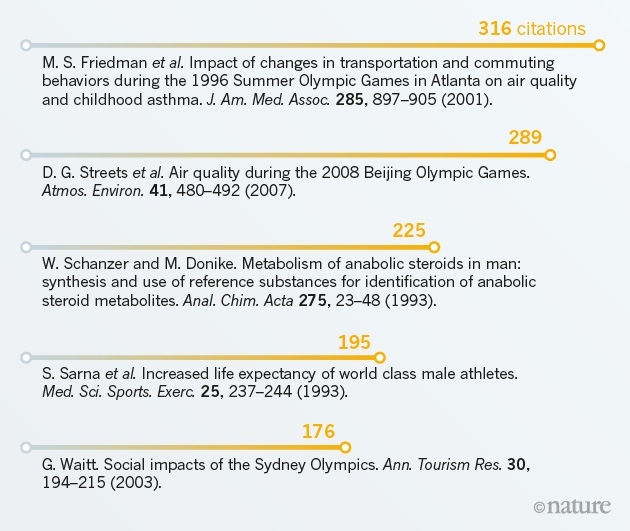 Perhaps sport is a more acceptable research topic (whether the purpose is to study the athletes or the spectacle). There are more academics in general who are looking for things to study. Hence, more studies of the Olympics. This entry was posted in Sociology, Sports and tagged cities, globalization, Olympics, publishing. Bookmark the permalink.